After working in the game industry as an artist for the past 17 years I transitioned into photography for the creative release. 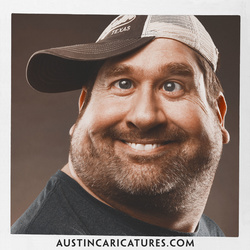 I focus mainly on portraiture along with event photography focusing on our photo caricatures and Texas Portrait Booth. See more at www.laughatyourself.com and www.texasportraitbooth.com .